Your Inflight Wi-Fi is on us, to help you stay connected. Enjoy Inflight Wi-Fi for free on all our enabled aircraft when you fly with us internationally. 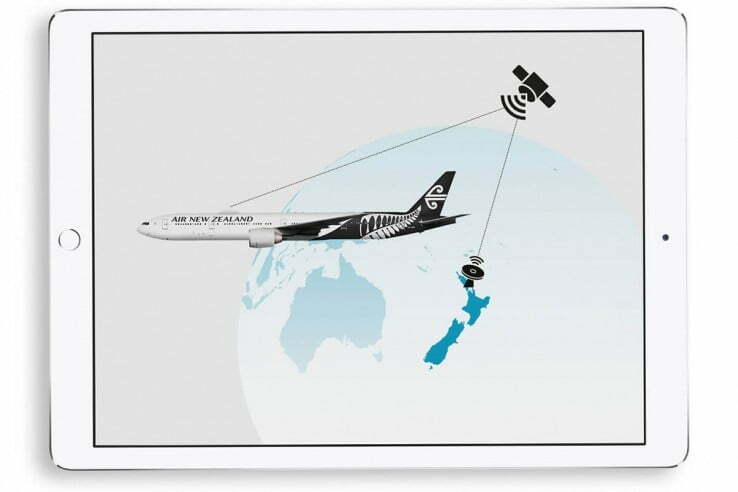 We're making it easier than ever to stay connected, and showing a little more of our Kiwi hospitality. Plane by plane, we're extending the technology to more of our fleet, too. Our 777-300 and 777-200 fleets are first in line to get Inflight Wi-Fi, with more 777 aircraft getting enabled throughout 2019 and 2020. Our new A321neos and A320neos are delivered with the technology already installed, and we'll start on our 787 fleet later in 2019. It's big news for us and our customers. Inflight Wi-Fi together with our award-winning seatback entertainment system will be entertaining you in new and exciting ways that are uniquely Air New Zealand. Will my flight have Wi-Fi? Inflight Wi-Fi is available on a handful of our aircraft shortly after take-off. If your flight has Wi-Fi, here's how to join our network and connect. When you're finished, let us know how it went and be in to win 100 Airpoints Dollars™. Enjoy for free until descent! We'd love your feedback. Tell us how your Inflight Wi-Fi was and be in to win 100 Airpoints Dollars. It's our way of saying thanks for helping us make the service better. Already flown? Do our Wi-Fi survey now. 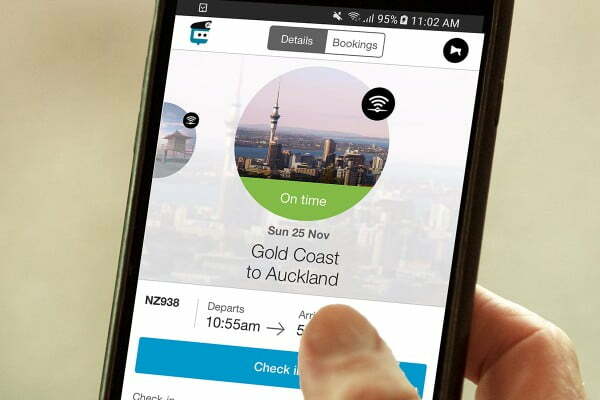 The best way to know if your flight will have Inflight Wi-Fi is to download our Air NZ mobile app. If you're lucky enough to be travelling on one of our Wi-Fi enabled planes, you'll see a Wi-Fi icon in your flight details 5 days before you fly. We recommend checking on the day of your flight for the most up-to-date info, as the exact aircraft scheduled can change. Generally speaking, data-light activities like browsing, emailing, messaging, and posting on Facebook are well supported. Things that are heavy on data like video and audio streaming are okay but may be limited. Calls over apps are not permitted by aviation laws and regulations. With the aircraft travelling at more than 800km/hour, by the time your data gets back to the satellite and to you, you've travelled the length of about five rugby fields. Impressive! That's no small feat, so we partnered with world-leading satellite company Inmarsat along with Panasonic Avionics for the in-cabin hardware to make it all possible. We want to make sure everyone who's connected gets a fair share of the service. To help with this, we control the internet speed and block certain data-heavy services, like large file downloads, VOIP, and cloud services. That way everyone can get a good experience. Want to speed things up a bit? Reduce the video resolution or send pictures on apps that reduce file size, like WhatsApp instead of iMessage, Viber or Instagram. How was your experience? Your feedback helps us make the service better as we extend it across our fleet. Send us your thoughts by completing our survey, and you'll be in to win 100 Airpoints Dollars. It's our way of saying thanks for sharing your input.